How might we help people explore different sides of themselves through anonymity? The Dark Room is the experience lens of my thesis — A Mask That Reveals: Exploration and Expression Through Anonymity. 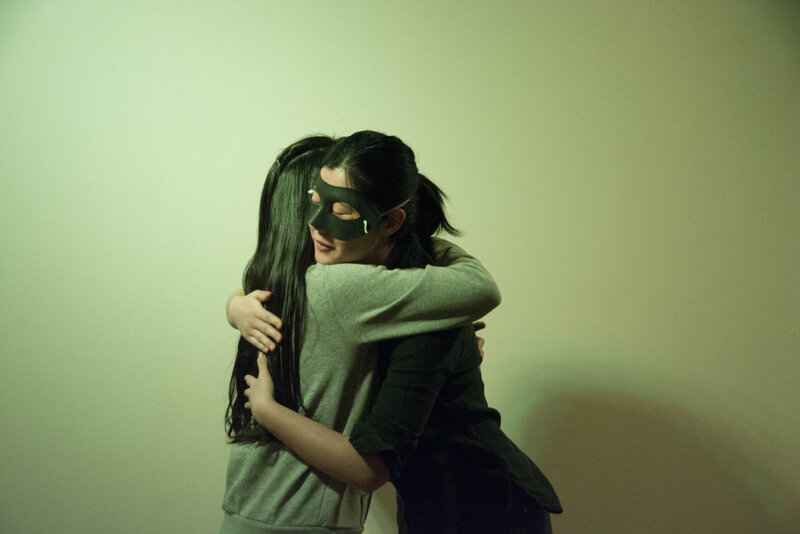 The project was mainly inspired by Sleep No More, an immersive theatre in NYC and Marina Abramović's performance art at The Artist Is Present. Audience's behaviors are influenced by the surrounding environment and the people they interacted with. In this improv theatre experience, I aimed at encouraging people to show other sides of themselves without any pressure, by guiding them acting with me in a unique environment. To understand different sides of a person that he might have, I started my research by reading books on psychology. Stephen Karpman maps a type of destructive interaction that can occur between people in conflict. In different interaction scenarios, everyone has three personas: persecutor, rescuer, and victim. Based on this theory, I abstracted three roles for my experience design: hero, villain, and victim. Here were the rules of the game. First, participants entered the room with a mask and flipped a card to choose a role to play. They received a prompt, which they had 30 seconds to answer. Then they were led to the stage. They acted out the role based on their answer. After one round, they flip another card. In this game, they experienced all three roles one at a time. To attract strangers to my event, I put up interactive posters all around campus with VIP keys attached to them that they could pull and read the RSVP information. Lucky enough, those RSVP keys were all gone in 5 hours and I got 9 participants. This is how it happened at the event.